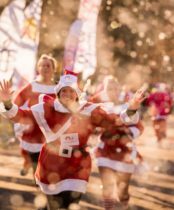 A Santa Run for everyone! 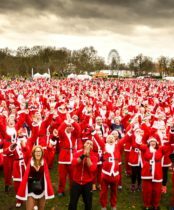 Over 4,000 Santa’s will hop on their sleigh and make their way to London on a Christmas mission to raise thousands of pounds for hundreds of different, worthy causes. 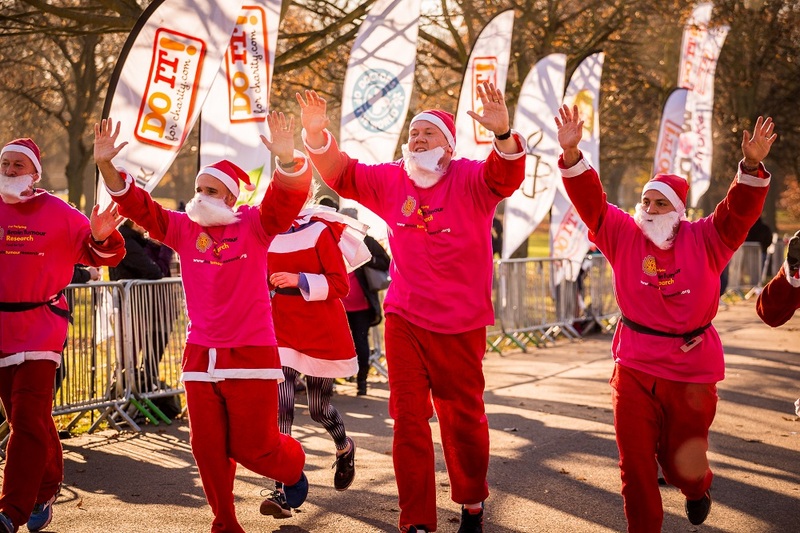 This family-friendly festive fun run is set to bring a flash of red and Christmas cheer to Victoria Park, London, as Santa’s from up and down the country tackle the 5km and 10km courses. Our scenic route is pram and wheelchair friendly, and children over 8 years can join in the main event so that the whole family can come down for the day! 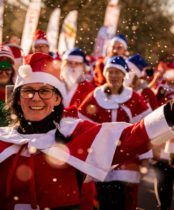 Pass carol singers, reindeer-costumed Christmas folk, Santa’s grotto and all sorts of festive fancies around a lovely park for charity, raising money with every step you take and spreading your Christmas cheer to everyone! 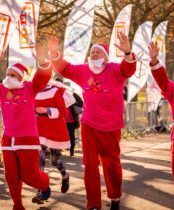 Run, walk or jog; you can go at your own pace making this the perfect challenge for anyone new to fundraising events! All costumes are provided for free and collected on the day of your challenge. Prefer your own costume? We also welcome Elves, Reindeer, Snowmen, Christmas Bunnies, Presents… anything with a Christmas theme! Share your challenge with friends. 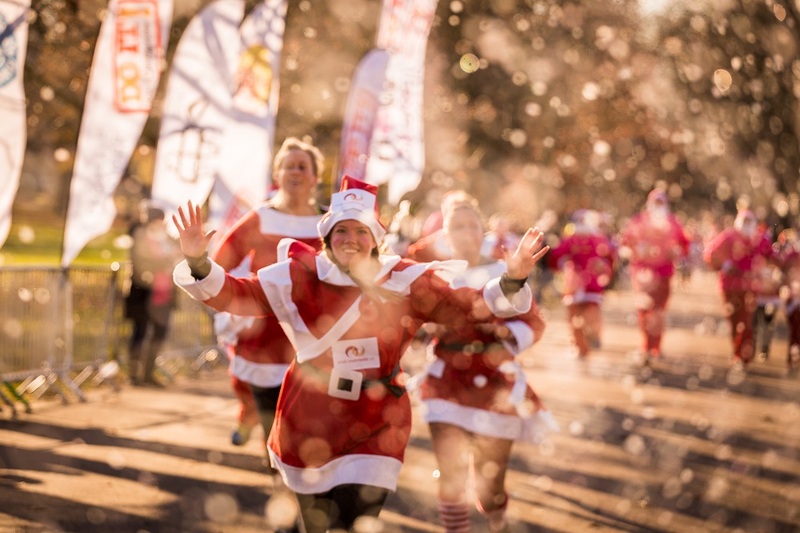 This year’s London Santa Run will take place on Sunday 2nd December 2018. 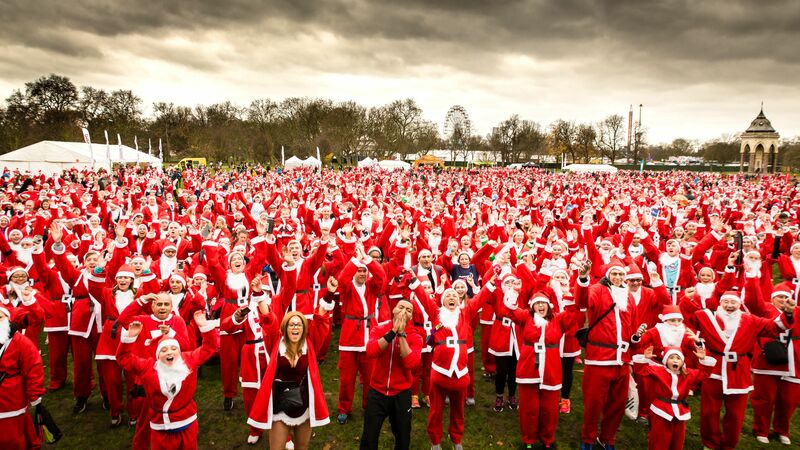 The run will take place at Victoria Park just a few miles from the centre of London. Victoria Park is one of the largest parks in the London area and is a wonderful setting for your run! You’ll need to arrive at 10:00 for an 11:00 start. We have thousands of runners taking part in our 5k and 10k runs every year – many of them for the first time! It is therefore perfectly achievable for people of all levels of fitness to take part in this event, but in order to maximise your enjoyment, we do recommend you do some training. You can download our sample training plan nowhere and once you book your chosen charity will also be able to give you support too. 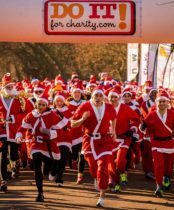 Which charity can I run for? 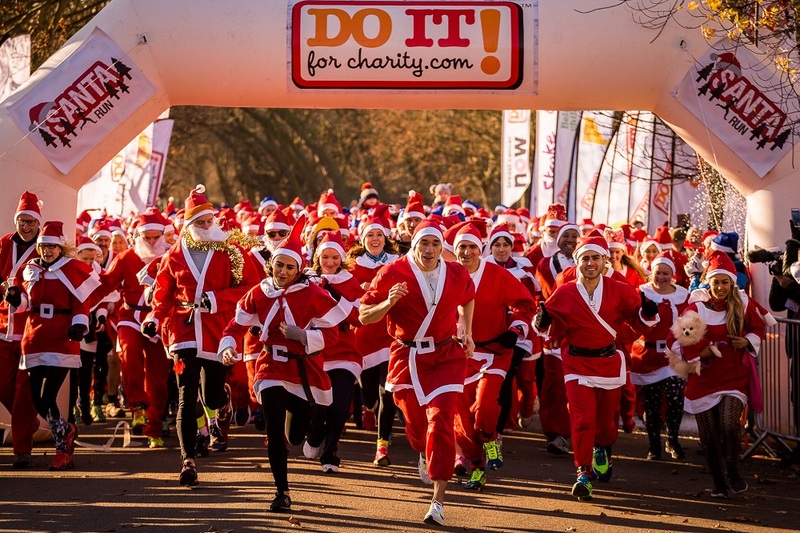 You can run for any one of the thousands of charities listed on our which charity page or you can simply run for your own charity. 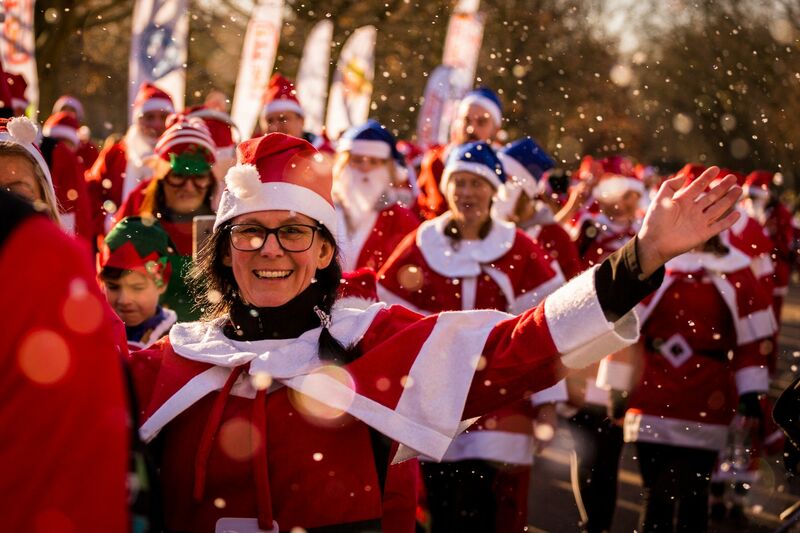 We simply ask you to pay £25 for adults (£10 for children – 15 and under) on registration which covers everything including a free Santa suit, fully-signed route, festive fun including carol singers, and Santa’s grotto for the kids and a shiny Superhero medal to prove you have taken part! Running is one of those great sports where you won’t need lots of expensive equipment. Admittedly running shoes can be costly but they should last for around 500 miles which is 8 months on an average 15 miles/week training schedule. Once again help will be on hand from both the events team and your chosen charity once you have signed up for the event. Places are filling up fast and we do limit the number of runners who can take part. Therefore simply click BOOK NOW to reserve your place ASAP!